The action of this short novella takes place in Castle Rock, Maine, which is King's version of America, Anywhere. In his latest work (created together with his friend Richard Chizmar who came up with the ending), he tells a story of young Gwendy. She is a 12-year old obese girl who will be starting middle school after summer holidays. She is determined to change her looks by taking a run up long stairs (know as Suicide Stairs), which lead to a cliff side. One day she meets a mysterious stranger, who invites her to palaver. That word alone caused me to expect some Dark Tower references here and I was a bit worried that it might be just another story loosely connected to that universe, only to increase sales. Fortunately, it isn't so. 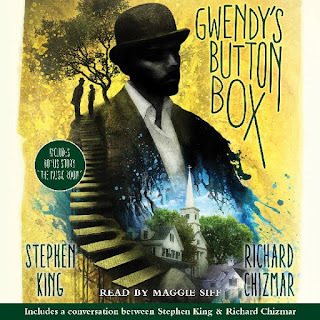 Gwendy receives a small wooden box with several buttons in different colors. She is to become its keeper and after brief, obscure explanation of some of the functions, she returns home. She doesn't know it yet, but her entire life will be greatly affected by this event. The plot isn't complicated. We mainly follow Gwendy's adolescence and watch her become a young woman. There aren't many shocking events, cliff-hangers but the story is presented in a clear, elegant way. It's easy to identify with Gwendy as she is what can be called an Everyman. The audiobook is read by Magge Siff (Tara from Sons of Anarchy), who does a really good job. 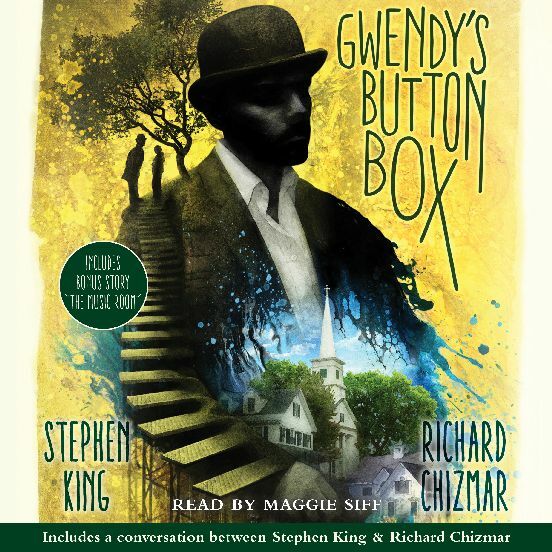 Gwendy's Button Box is not very deep or innovative, but it goes by really fast and I really enjoyed it.